Appeon Mobile Beta 3.0 is available now! This is another much in a series of anticipated Release Candidate versions! Beta 3.0 also represents that Appeon Mobile is practically ready to go to market! This is your last chance to give Appeon feedback that we will be incorporated into the final release, which is scheduled for April 30. Appeon Corporation is also now accepting pre-orders for Appeon Mobile sp that you will receive a special early-adopter 30% discount for a limited time! 2. Supports more iOS APIs, e.g. camera, barcode reader, etc. Upper and Lower String functions are supported. DragAuto property for all controls is supported. KeyDown event will be triggered when Done is tapped in the iOS virtual keyboard. Appeon FileService object is supported. PBT/PBL list auto check: automatically detects if new PBLs have been added to the PBT and updates the PBL list. SSL verify & SSL verify host: supports SSL peer verification and host verification to ensure data safety. Close All Apps: supports closing all applications that are running in the foreground and background in Appeon Workspace. Redesigned icons to be more intuitive. For more information ... visit Appeon's website! Yes, you read that correctly ... free PowerBuilder online education classes along with various testing mechanisms to make sure that you understand the materials. While the materials are based on older PB versions, the principles are 100% applicable to today's latest PowerBuilder versions - including PB.Net! So stop fretting about trying to attend an over-priced SAP/Sybase education class or paying significant dollars to 3rd party training companies that are just going to give you the same information. Instead, have a look at this comprehensive list of subject materials that you can explore that cover an extensive array of the IDE's features. These PowerBuilder courses are available from Hyerabad Colleges on the web - for more information - click here! The new Appeon Mobile Beta2 provides a set of new Non-Visual User Objects (NVUO) that facilitate the Mobile PowerBuilder Application's introspection and interaction of the iOS device it is deployed to. These great new extension features allows the PB application to communicate to: the iOS device; Appeon Work Space (AWS); Camera; Connection (network); Device Manager; Media; Notification, and Recorder. Appeon Mobile has added to the "appeonextfuncs" NVUO that existed before in the Appeon Web product. Appeon have extended its capabilities on Mobile side. We can now get the state of the environment where the application is running. The value of the client type equals "PB" indicating running in native mode (win32) and the value "Web" indicates inside a Web Browser" - with a new value "Mobile" that indicates (for now) running on an iOS device. The Cache Directory which is for web application where the browser is caching your temporary files is now showing the local iOS caching area. Like the Web environment, we can see common items such as IP Address, Server IP, Server Type (the value 2 above indicates .Net based), etc. The O/S type now shows the Apple O/S plus its version - which is nice for system-to-system controls from my frameworks point-of-view. The AWS object named "eon_mobile_awsex" allows your PB application to introspect the AWS run-time on the device to provide some interesting feedback on how your PB application is interacting with the business user. For example: the state of the touch bar, the AWS's orientation (portrait versus landscape), the project and server the application is running from, if the device's rotation lock is active, the version of the AWS as just an example. These items can be useful in finding out how the user is holding the device and what type of rotational activity is happening. These things can be very useful in system-to-system controls, resizing, feature control, etc for your PB powered iOS application. The iOS's Camera can be accessed and controlled from the "eon_mobile_cameraex" NVUO. The object allows the PB application to open the photo repository and select an image for viewing or even launch the camera to take a photo or video.Inside the NVUO are simple function like "of_takeFile" that launches the camera or "of_openalbums" to view your video or photo album. If you do select a video, photo or activate the camera - the corresponding file name is returned to the PB application for further processing. The Connection NVUO - eon_mobile_connectionex - allows the PB application to introspect the network connection being used which can be: WiFi, Eithernet, 2G, 3G, None or Unknown. This allows the PB application to determine whether a high speed LAN is being used, a cell tower connection or a standard WiFi link. The eon_mobile_deviceex NVUO allows your PB application to determine important device settings like DPI; Device Name, Platform, Orientation, Screen size; Memory usage, etc, This information can be important to your mobile application in resizing items properly, knowing if you are running on an tablet versus smart phone, if free memory is getting low and transactions in progress need to be saved or closed, recording and logging important information that might be used in remote debugging application problems from the in field device, etc. The eon_mobile_mediaex NVUO allows your iOS based PB application to load either video or photographic information from the devices repository. Simple commands like "of_play" will allow your application to play instructional videos that give the user detailed information about using your application or just play videos that pertain the nature of your business application. The eon_mobile_recorderex NVUO allows the PB Mobile application to invoke the audio recording feature of the iOS device to record a message. The NVUO can also be used to access the device's repository of recordings to select and play a selected recording. The Appeon Mobile product in allowing low level iOS feature control really sets the bar to integrate more device features into your business applications. To the business user, this integration can be a key to unlocking the real usefulness of the PB application. The more the PB application can interrelate to the divices features - the better the iOS application experience can be achieved. The Appeon Mobile Beta2 release is already unlocking the Power of PowerBuilder on the iOS devices. This amazing technology should easily propel your developers to a new corporate level to implement high quality applications on the mobility platforms! Software Tool & Die Inc (STD) are pleased to announce a new free utility for automatically generating PowerBuilder structures for use when building .Net based web services. 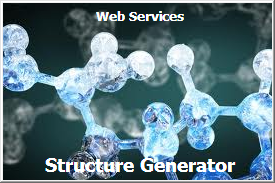 The Web Service Structure Generator (WSSG) utility is designed to compliment the STD Web Service Foundation Classes (framework) specifically work with PowerBuilder Classic. The generator starts by introspecting any PBL (PowerBuilder Library) to see a list of DataWindow objects contained within. The WS PB developer can point the utility to any MS-Windows folder that may contain a PBL. From there, the generator displays a list of DataWindow Objects (DWO) contained in the selected PBL. Any SQL or External based DWO can be used to build a set of structures for to use in constructing an XML based result set. For .Net based web services you need to build two structures. One that maps any DWO's primary buffer and a second structure that houses the first. The WSSG can build both structures by selecting the "generate parent structure" option on the lower left hand side of the "Structure Builder" screen. Once the DWO and parent structure option are selected, the "Generate" command button will allow the developer to select the target folder where the WSSG will build actual PowerBuilder object source code for the desired structure(s). For the Login DWO shown above, lets enter the structure name "login" when we select the "generate" command button. This will build two stuctures: "login" and "logins". The first login structure is the DWO primary buffer mapping and the next "logins" structure will house the first structure conforming to the XML standards required to define a Web Services result set. Once the two structures are built by the WSSG utility, all the PB developer needs to do to ready the structures for "action" is to use the RHMB on any PBL and select the "Import" menu option. This will now transfer the structures into working PB objects for use with the WS Foundation Class framework. I have now uploaded the new WSSG utility to the SourceForge website where you can download the utility for free use. I have also updated my latest "Web Services Test" application located in the Appeon Mobile beta framework area. Don't let the location fool you as this example Web Service client application can demonstrate a standard PB Client native windows application consuming the WS NVUO built from the WS framework. It can also build and deploy an Appeon Web and Appeon Mobile test client application that will test the WS NVUO as well. For the free WSSG utility and WS framework, please follow this link (click here). I hope all PB developers world wide can benefit from the WSSG utility and WS framework! Discover what PowerBuilder Projects are working on. Did you know that 65% of PB developers who filled out the survey are more interested in building native mobile apps than HTML ones? That 34% of these developers are more interested in having PowerBuilder features for their application than multi-device support. Fill out this year’s survey to find out the full results! The revolutionary solution for taking your PowerBuilder Applications Mobile. If you would like to sign up for the Beta Program before attending the webinar you can do so here. Don't forget to check out their archive of past webinars! The NNTP forums from Sybase - forums.sybase.com - will be closing down to new postings on March 28, 2013. After more than 10 years of service, it is time for SAP and Sybase to close down the NNTP forums. These forums have served as an important communication medium between you, our valuable customers, and us for a long time. Like all technologies, however, the NNTP protocol is now better served by other newer protocols and systems. So, with the migration to SAP, we have decided to close down the NNTP server (forums.sybase.com). All the posts in these forums will be copied and stored in an archive at http://nntp-archive.sybase.com. All new questions should be directed to the appropriate forum at the SAP Community Network (SCN), found at http://scn.sap.com. Over the next few days our employees and members of TeamSybase will be posting product specific URL's to Developer Centers and other areas in SCN. If you would like to get started immediately, go to http://scn.sap.com and search for your product in the search box (upper right corner) to find your specific developer center. Software Tool & Die Inc are please to announce the release of their new STD Foundation Classes for IIs (STD FC IIs). The new IIs framework is solely targeted to helping PowerBuilder Classic developers, develop .Net based Web Services deployed to IIs. The new IIs based framework - while taking advantage of RAD techniques - employes an MVC (Model, View, Controller) architecture for superior performance, flexibility and extendability. All the STD frameworks are free and can be downloaded from its STD Foundation Classes SourceForge project website. The STD IIs FC's are a port of the EAServer version - originally designed from the PocketPC code-line - with a hybrid adaptation of Web.PB and ASP/ASP.net alignment. The interesting thing about these classes is the "small" footprint and exceptional speed at which it operates. On one IIs Server, where every CPU cycle is precious, the FC's have proven heir worth. Now you can enjoy a "Light" version of the PFC without the heavy learning curve or high compile overhead. The STD IIs FC's will compile to less than 80K (PBD form) compared to nearly 12M for the Sybase PFC's which can not even be used within IIs for Web Services! The IIs version of the framework is also complimented by its PB Classic versions for the Win32, Winform and WebForm application platforms plus the Appeon Web & Mobile application platforms as well! This fully extends a "consistent" framework approach to the web browser, tablets, smartphones, and native windows client applications that can now fully utilize PB based web services back end NVUO's in an n-tier archtecture. This allows PB Classic developers to be productive in all of these above mentioned technology areas! Along with the IIs based framework, STD has released a sample "Web Service" application housed in the Appeon Mobile section. The WS Test application demonstrates a) an actual example MVC web service NVUO built from the FC's that deploys to IIs - plus, b) a PB Win32, Winform client that comsumes the WS and that can also be deployed to Appeon Web or Appeon Mobile to demonstrate its interaction from those environments as well. President - Software Tool & Die Inc.